Jihad Azour (Arabic: جهاد أزعور‎), (born 4 May 1966), is a Lebanese economist and politician, he served as Lebanon's minister of finance under Fouad Saniora's government from 2005 to 2008. Juan Luis Manzur (born January 8, 1969) is an Argentine surgeon and politician, currently Minister of Health and Environment to the President. 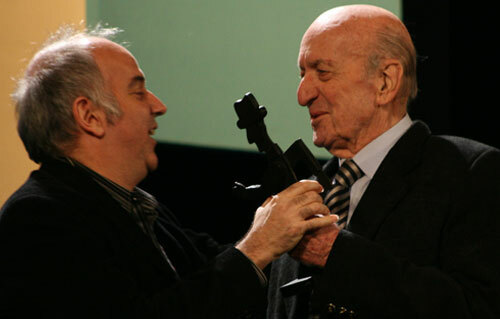 Eduardo Falú (July 7, 1923 – August 9, 2013) was a well-known Argentine folk music guitarist and composer. Samir Kassir (سمير قصير in Arabic) (5 May 1960 – 2 June 2005) was a French-Lebanese professor of history at Saint-Joseph University and journalist.